ERA Starr Realty held its annual awards banquet on Feb. 2 at the Sturgeon Bay Yacht Club. Awards were presented to the top-producing agents for 2018, and staff members were recognized for their hard work and commitment. Broker Robert Starr conducted the ceremonies and congratulated agents on a successful year, emphasizing that ERA Starr once again listed and sold more properties in Door and Kewaunee Counties than any other agency. 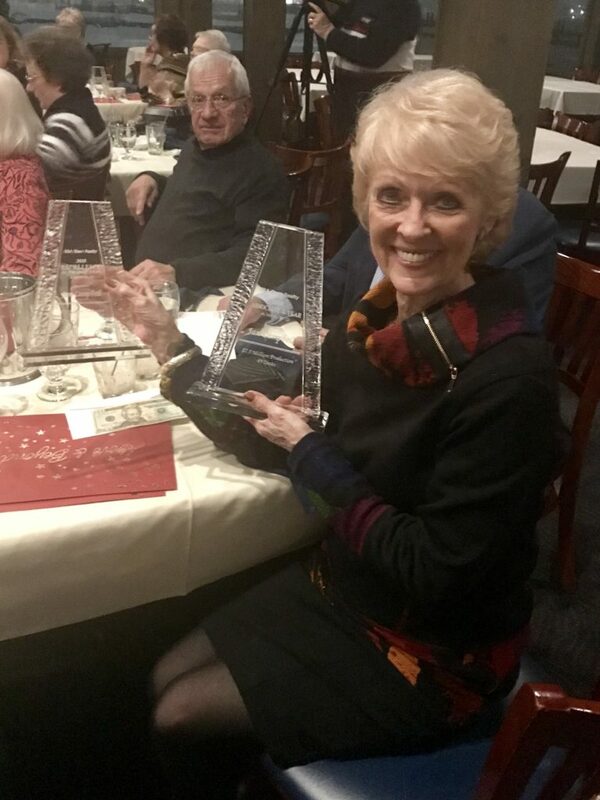 ERA Starr Realty’s Associate of the Year Award for 2018 went to Jan Campbell at the agency’s recent awards banquet. Submitted. Honored as Million and Multi-Million-Dollar Producers were Ray Leonardson, Dan Lenius, Bob Gray, Paul Dreutzer, Laura Sutherland, Susan May, Dina Boettcher, Cathy Meyer, Lois Mickelson, Gale Zahn and the team of Di and Terry Wagner. Excellence in Production Awards went to these agents, who had more than $5 million in transactions: MarJean Gutschow, Gretchen Porten, the team of Bob Starr and Lori Raye, Jan Campbell and Heidi Neubauer. The Top Producer Award went to Heidi Neubauer, who completed her year with $10.8 million in production. Jan Campbell earned the Associate of the Year Award, which honors the agent who not only delivers excellence in production, but is also an active participant within the Door County Board of Realtors and serves as a leader and volunteer within the community.